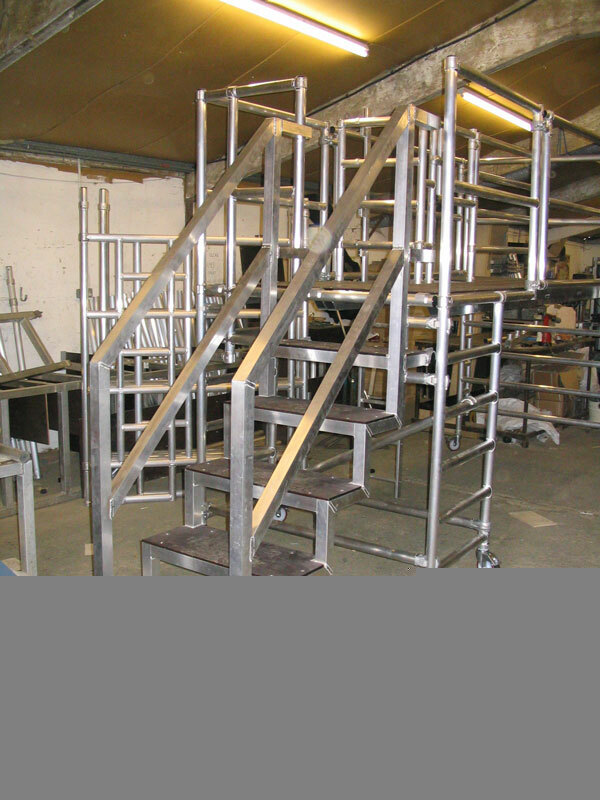 Interlink are committed to drive industry standards to the highest standards of production whilst actively developing our products to provide the optimum in design, functionality and construction. We strive to provide the highest levels in service standards and support. 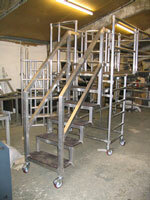 Our products conform to current HSE guidelines. 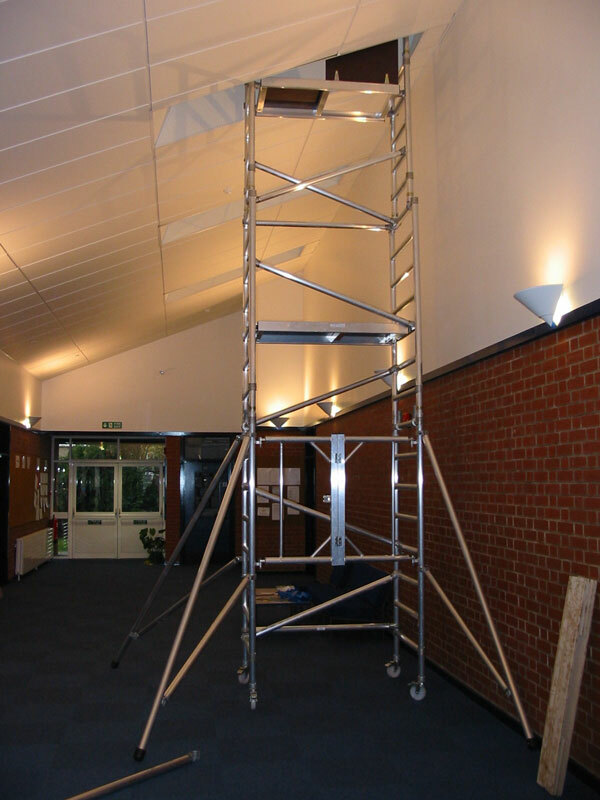 In 2003/04 falls from height accounted for 67 fatal accidents at work and nearly 4000 major injuries. 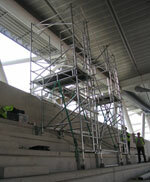 They remain the single biggest cause of workplace deaths and one of the main causes of major injury. 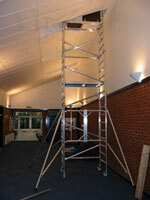 The Regulations apply to all work at height where there is a risk of a fall liable to cause personal injury. We have acheived ISO 5750 DNV Veritas. 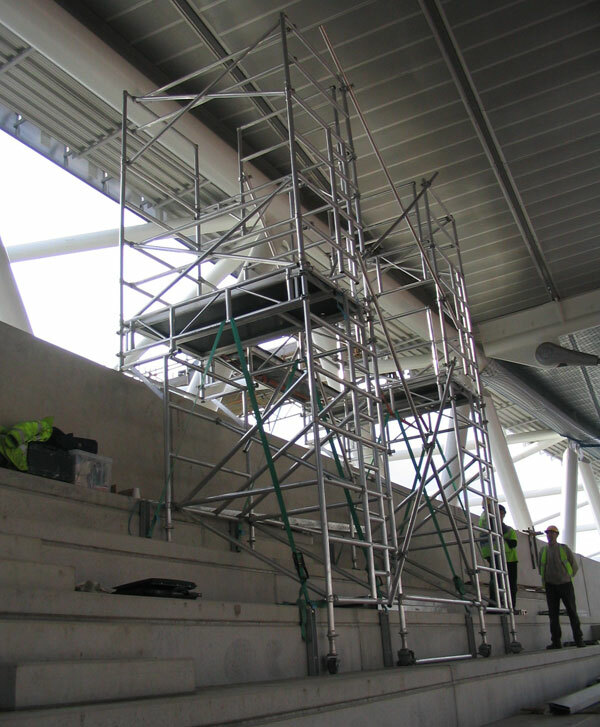 Podium mkI and Podium mkII, work-platforms, scaffold-towers, mini fold away scaffold working solutions, stair span access towers, stair deck systems and 'special build' solutions for one off applications.